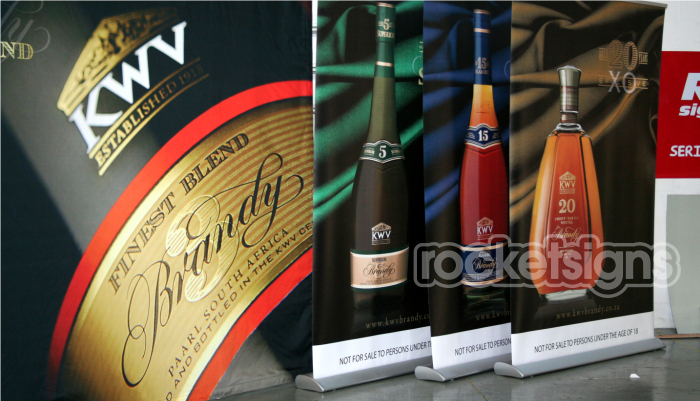 Pull Up Banners – The most versatile and Travel friendly display system out there. Our Executive unit come standard with a full colour print on Anti-curl PVC. The base is made from lightweight Aluminium to make it easy for travelling. Stylish finish with chrome end caps. Size : 850 mm x 2100 mm. Our Economy unit comes with the same high quality print finish. The light weight Aluminium base has a more basic look to it. Great option if you are marketing on a tight budget. 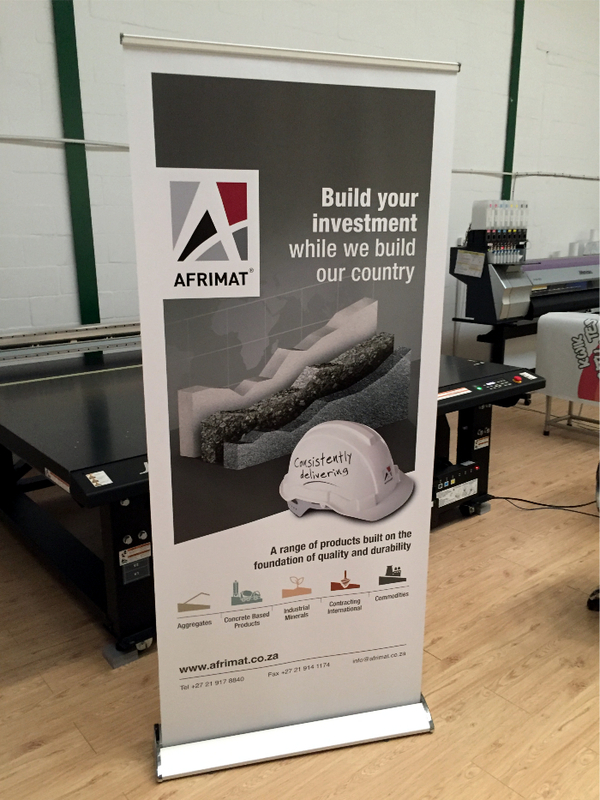 Our economy Roll up banner also come with a travel bag as standard. Our Print Studio is based in Cape Town but we do deliver Nationwide. Fast turn around times. for those last minute emergencies. Same day Express Service apply to this product. Please supply artwork in Print ready Pdf files. Easy and quick to setup.